One day in March 1921, a young man burst into Hardenberg Street, Berlin, trailing a neighborhood resident who was out for a stroll. Minutes later, he struck down his target with a bullet to the head. At his trial, the young Armenian, Soghomon Tehlirian, acknowledged the killing but claimed he was no murderer. It was the victim, Talaat Pasha, who had orchestrated the massacre of Tehlirian’s family and the annihilation of his people. 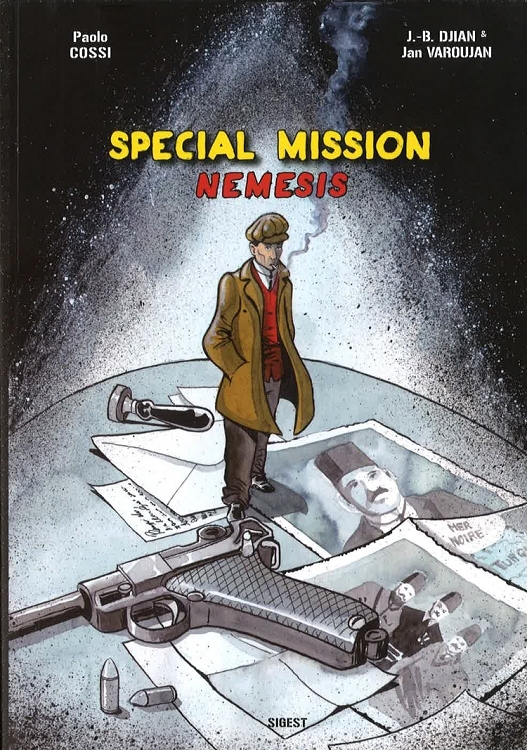 This true-crime drama unfolds in Special Mission: Nemesis, a 68-page graphic novel by Paolo Cossi, J. B. Djian and Jan Varoujan. It is translated from the French by Lou Ann Matossian.